Are you worried about screen time? As a parent or grandparent are you concerned about the amount of screen time your children have? Do you struggle to limit screen time and negotiate with your children? If this sounds familiar read on. Mum of 2 Amanda Bucknall has launched an ingenious NEW way for children to limit and manage their own screen-time – reducing battles and making a happier home life. Like many parents, Amanda found it increasingly difficult to get her 7 year old son Harry to turn off the TV or get off the i-pad. It was easier to persuade him to do his homework, go to bed or eat veggies! Fed up with emotionally draining battles over screen-time, Amanda and Harry set about inventing a system that would work for both of them – Time Tokens was born. It worked so simply and effectively, soon temper tantrums were a thing of the past and Harry was actually using less screen-time and was happier and calmer as a result. After trailing it with friends & family they realised they’d hit on something really special. Children can also be rewarded every week with a special GOLDEN TICKET which allows them to choose an ING activity to do with friends or family. Maybe making dinner together, bike riding, playing a family board game – the possibilities are endless! 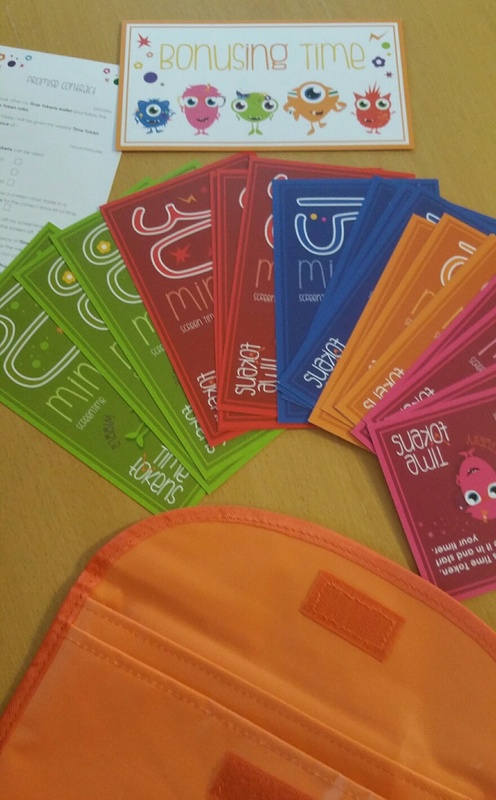 Time Tokens is packaged in a fun orange wallet with 7 hours of Time Tokens vouchers, a Golden Ticket, orange timer with clip and magnet, a parent-child ‘Promise Contract’, simple short instructions and lots of fun and inspiration from a gang of friends called The Frazzles. I love this idea and although in all honesty I don’t struggle with limiting screen time as the two older children are so busy with other activities and into reading, that isn’t to say that it won’t be an issue in the future . I think that it is really good practice to use something like this, and a much better approach than any parent/child battle over what is being watched, when and for how long. The big kids really like the idea and the freedom and responsibility this affords. 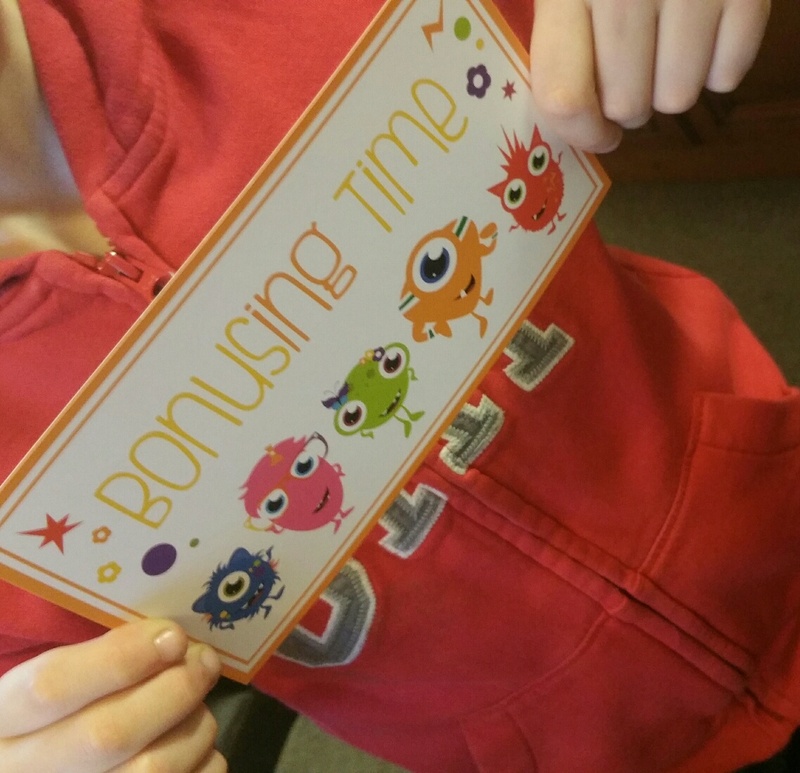 The timer was a big hit and the contract made them feel it was important and valuable. I do wonder if these same principles could be applied to other areas of parenting that often cause conflict? What do you think? They did question that five minutes wasn’t really long enough to do anything, so they felt the cards should begin at 10 minutes. They were also concerned how many they would use up watching a movie so we decided that family movie night would not be included in the quota. The little pouch that everything comes in makes this really portable, so you can even take them on holiday with you – although you might find they are so busy doing other things screen time goes out the window full stop. These are great for establishing boundaries, learning about what it means to make a promise and valuing the things that you have. Do you think your children would respond well to these? Would it work for your family? How do you currently limit screen time? we have no method for managing screen-time and these Time Tokens sound great. where do you buy them from i can’t find on google search? Great idea and something that I think is really important. I love this idea. My son got a Xbox for Christmas, we don’t tell him how long he is allowed on, but to get to play on it he has to do chores and 30 mins of educational work before he is even allowed on. That sounds like a fair balance – does he respond well to that? 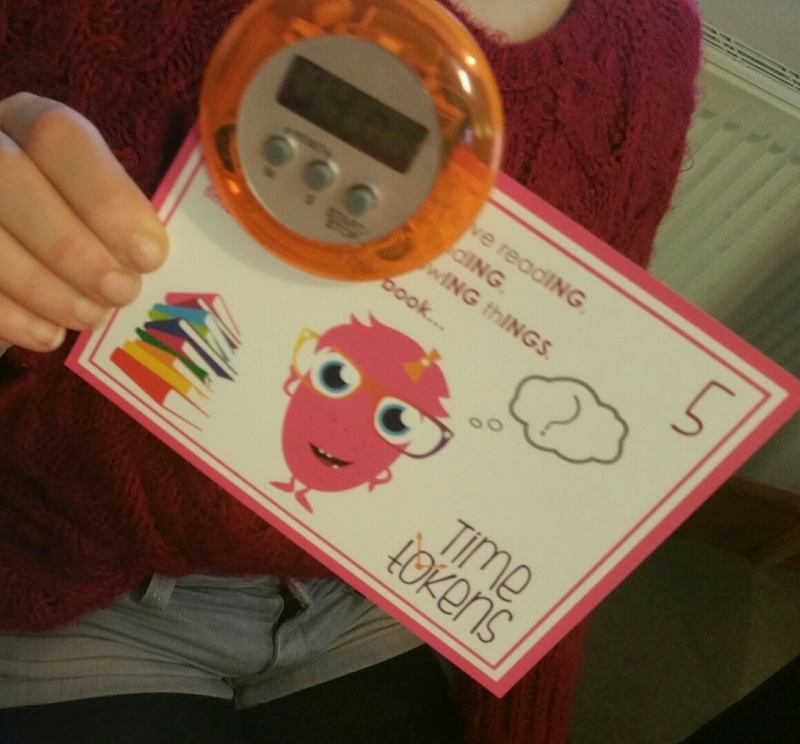 Never had actual control over screen time .. time tokens are a fab idea !!! Wow this is a fab idea!